-Four Adjustable Angles On Easel For Versatility. 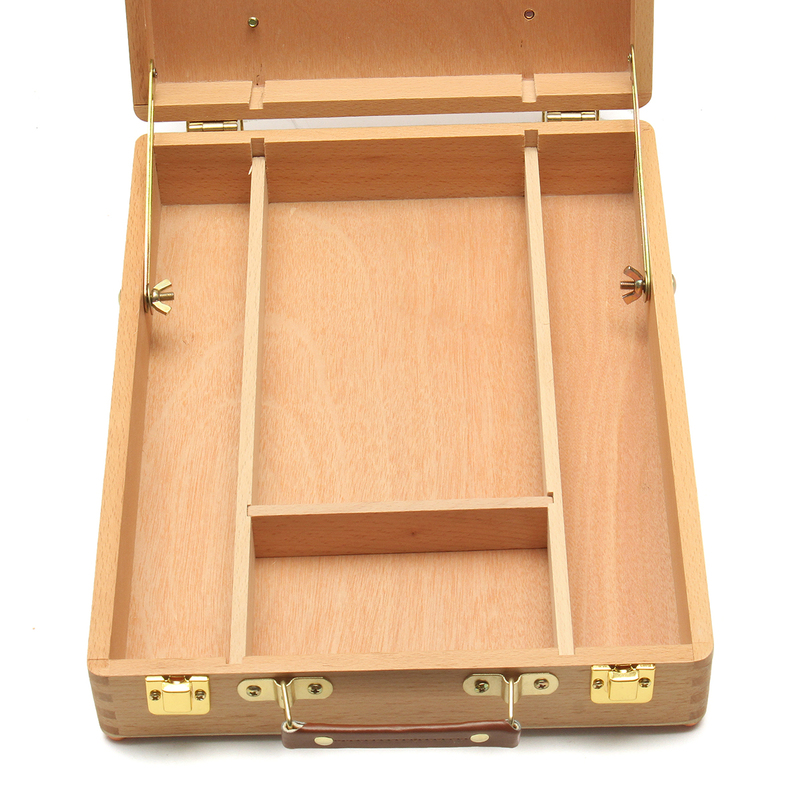 -Interior Has 4 Divided Compartments To Hold Art Supplies. -Folds To Box Size For Storage Into A Small Space And For Travel. 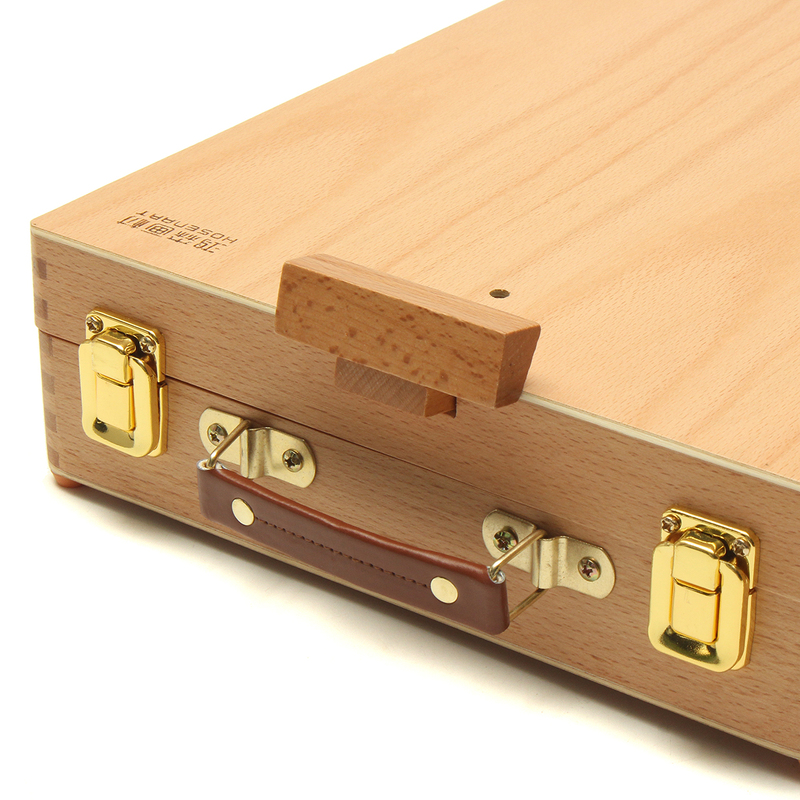 -Two Locking Clasps Keep Supplies Secure. -Rubber Feet Protect Table Surface. 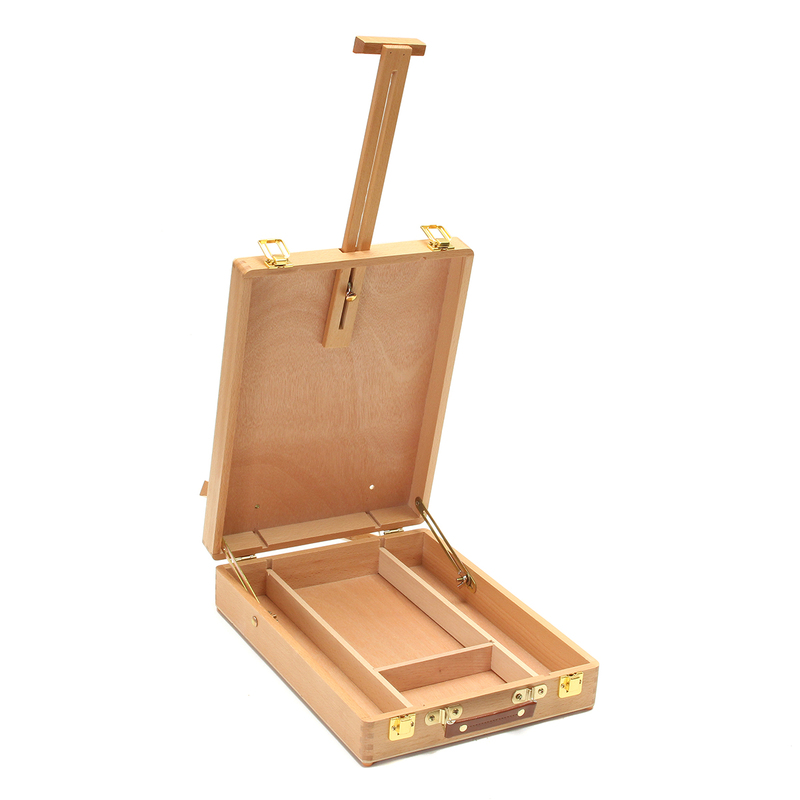 -Portable Miniature Desk That Converts To A Painting Easel. 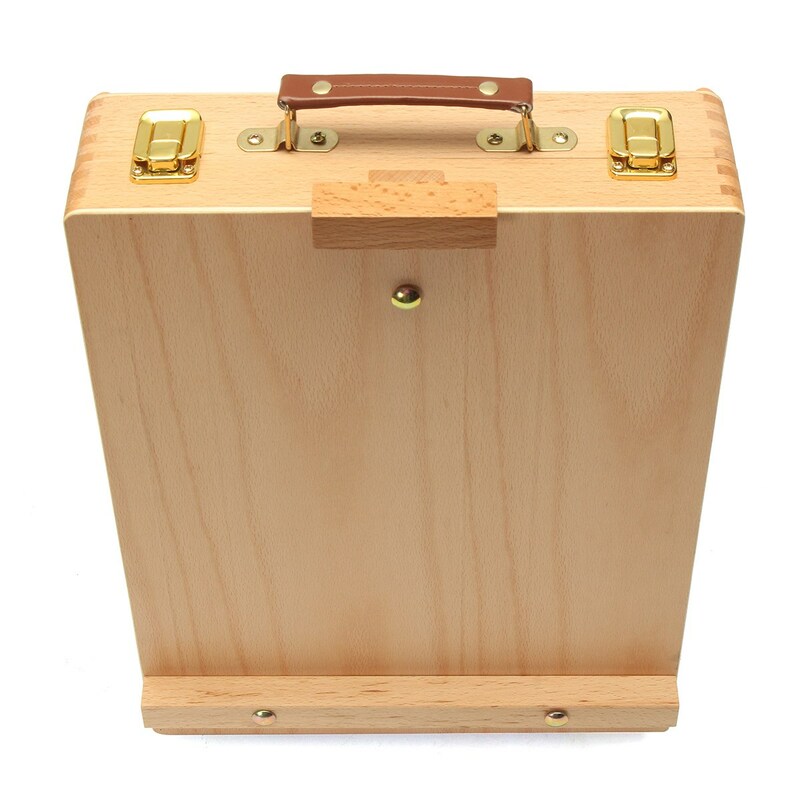 -Has A Drawer With Three Compartments To Hold Brushes, And Other Essential Gear. -Cleverly Designed And Light-Weight Yet Sturdy. -Accommodates Canvas Art And Prints Up To 11 X 14 Inches.